Paper Doll Digital Badges - The Art of Marci - Furries! Are you a Badass at making money? The Art of Marci – Furries! The fuzzy and wonderful world of Marci McAdam! 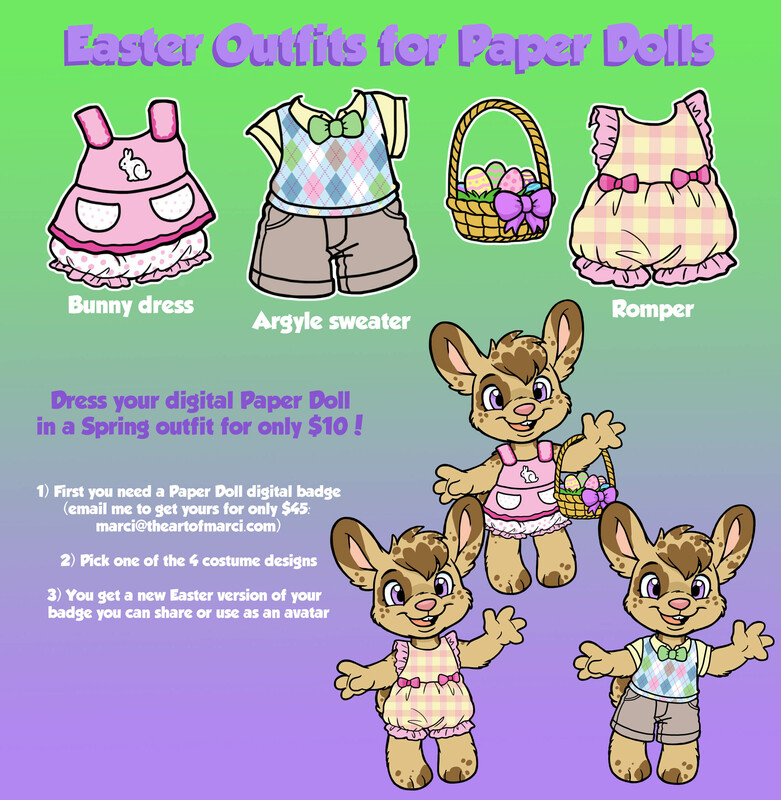 Just in time for Easter, here’s a new set of cute Easter outfits to dress your Paper Doll in, complete with basket of coloured eggs. Each outfit is $10 US, and you can choose one for your Paper Doll, or all three if you like. I’ll format your doll with the new outfit and send you the digital file, and if you don’t have a doll yet, you can add one for $45 (which comes with its own first outfit). Email me to order your new outfit today. Read on below the image for how to get a Paper Doll! Introducing my new Paper Doll Digital Badge commissions! My adorable chibi badges are now available in a budget-friendly digital style. Using the stock pose, you can choose your character’s features, have it custom coloured, with three introductory outfits to choose from. More outfits and accessories are on the way, so you can keep dressing up your Paper Doll! For only $45 US you can customize your badge based on the options shown here. 1) Start with a body template using the character varieties here OR you can mix and match body features on the Google form (muzzle, ears, tail, etc). Click here for the Google Form! 2) Choose an outfit: pick a top and a bottom from the options shown. You can pick your favourite colours. You can also have an additional outfit(s) for $5 extra. 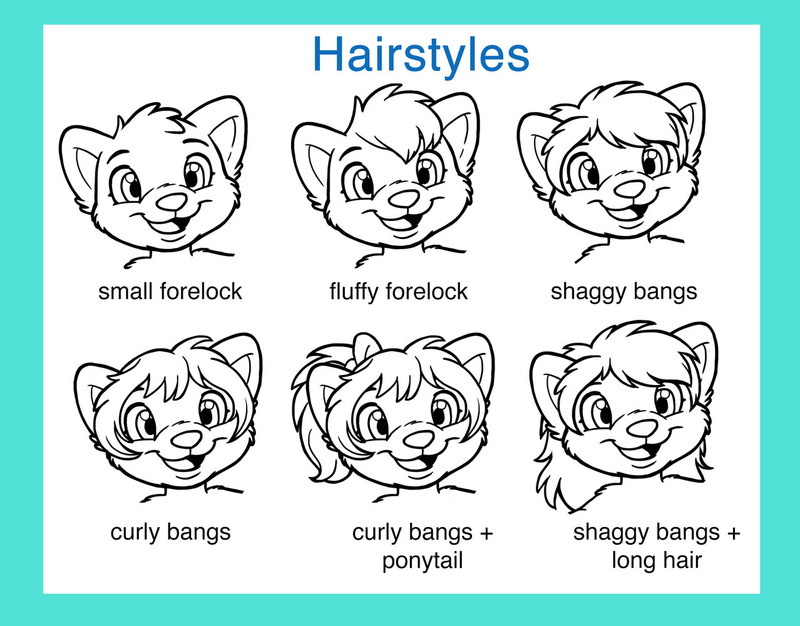 3) Choose a hairstyle from the options shown. 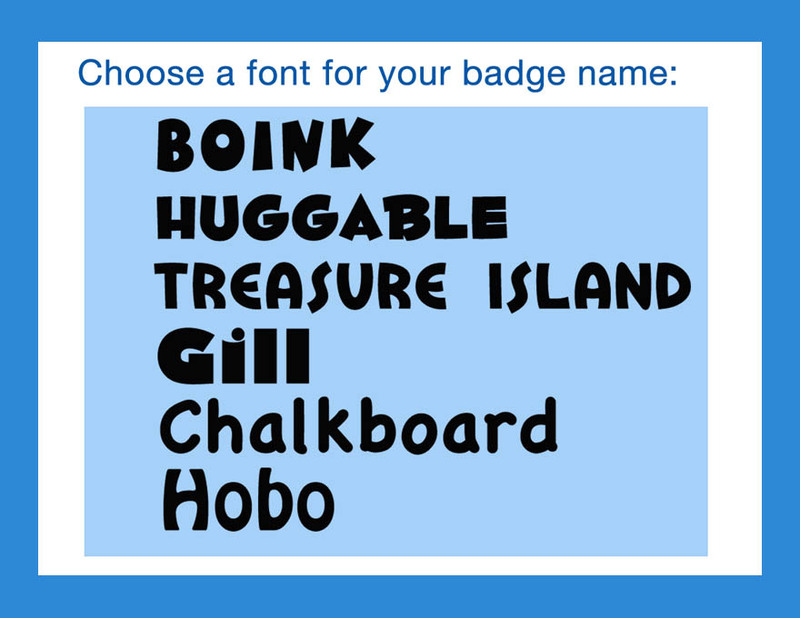 4) Choose the style of lettering you’d like your name to be printed in on your badge. 5) I’ll reply to your order and send you a PayPal invoice. My fursona is a mix of a husky and fox. form (say husky ears and fox tail, pointy fox muzzle and big paws). Can I get more than one outfit? I want a Paw Patrol logo on my t-shirt. Outfits can be custom coloured, but additional designs are not included. my regular badges, either digital or marker, starting at $80. Will there be more outfits available for my Paper Doll? for me, feel free to email me your suggestions. Can I orint my Digital Badge? Sure–feel free to print it out and laminate it! Can I share my Digital Badge online? More questions? Click here to drop me an email!